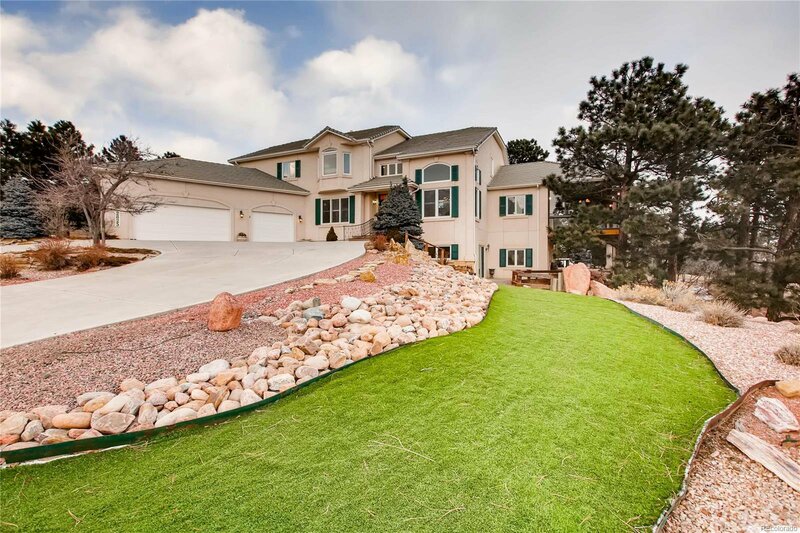 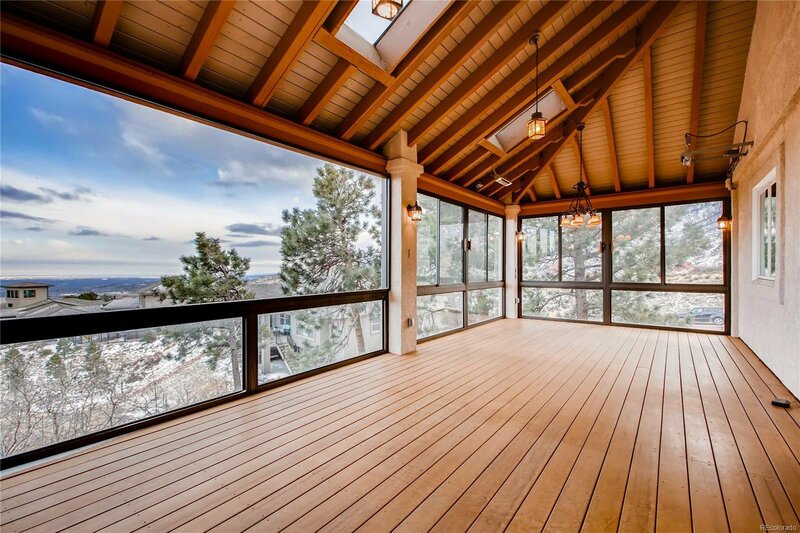 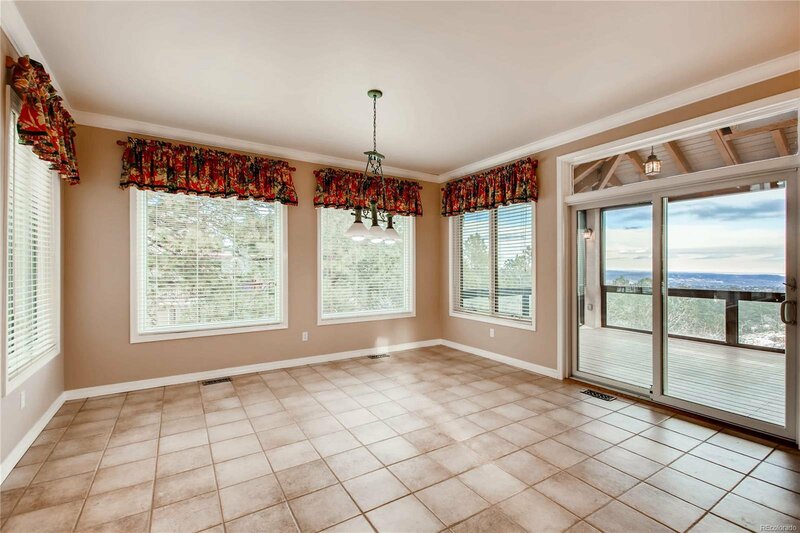 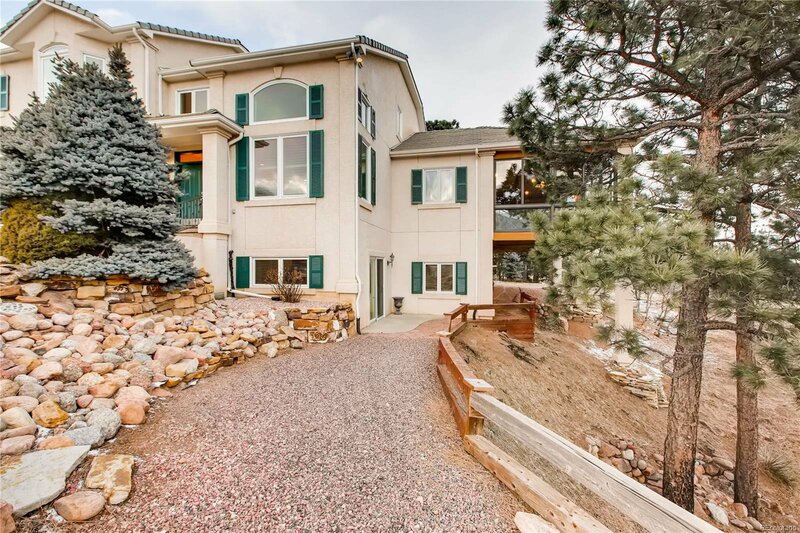 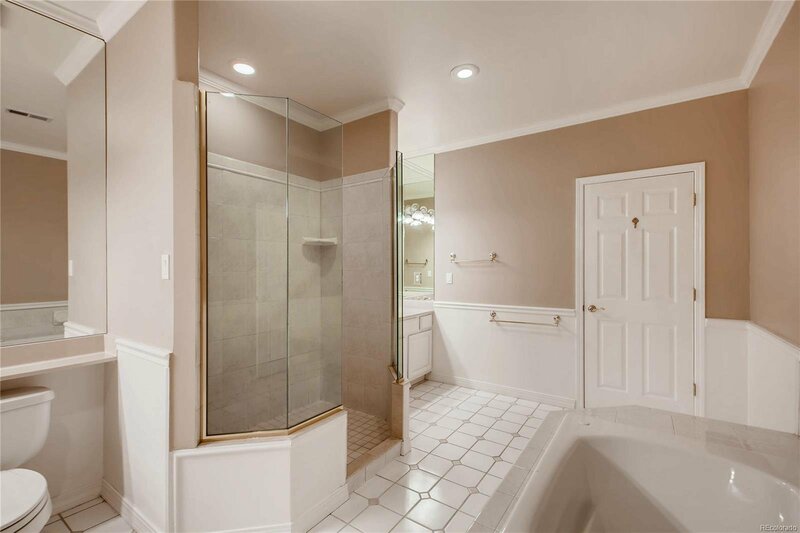 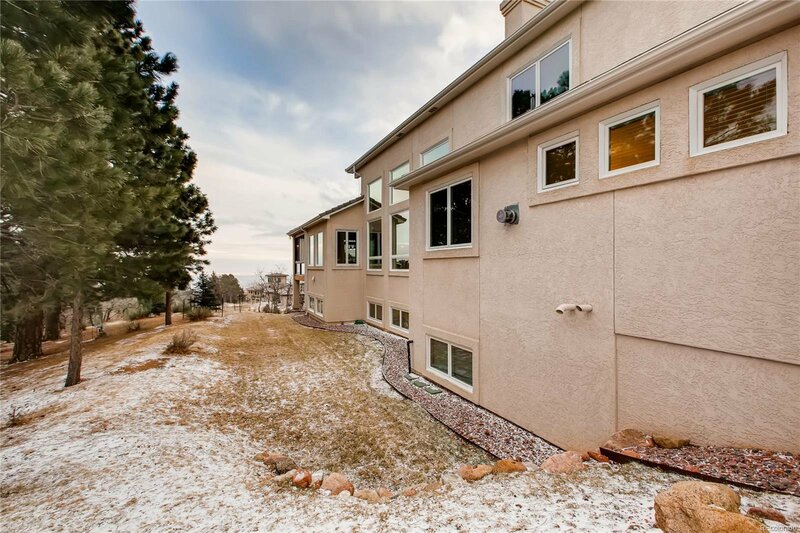 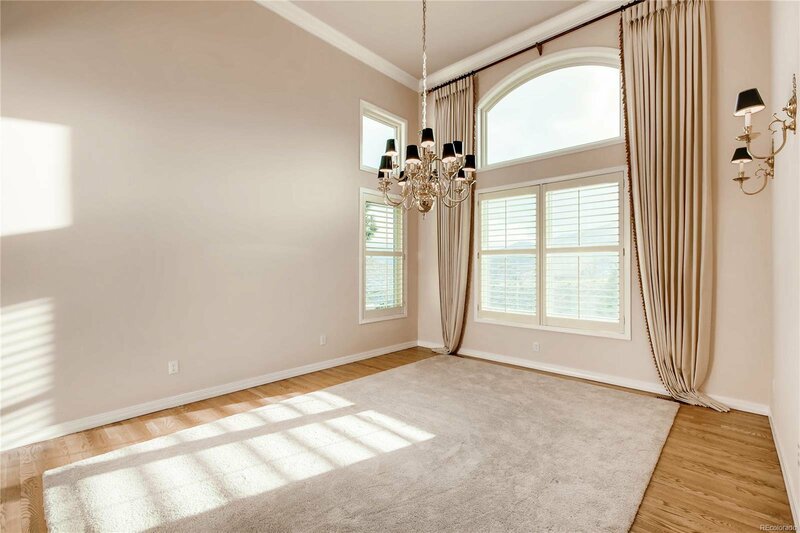 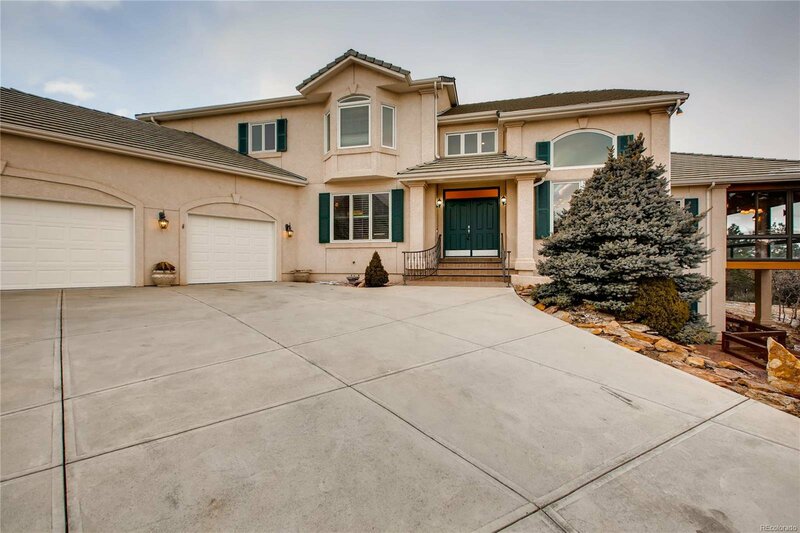 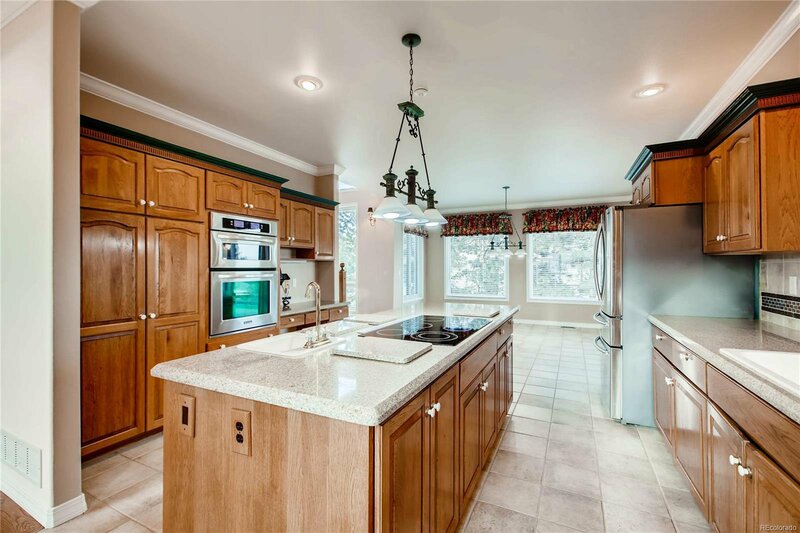 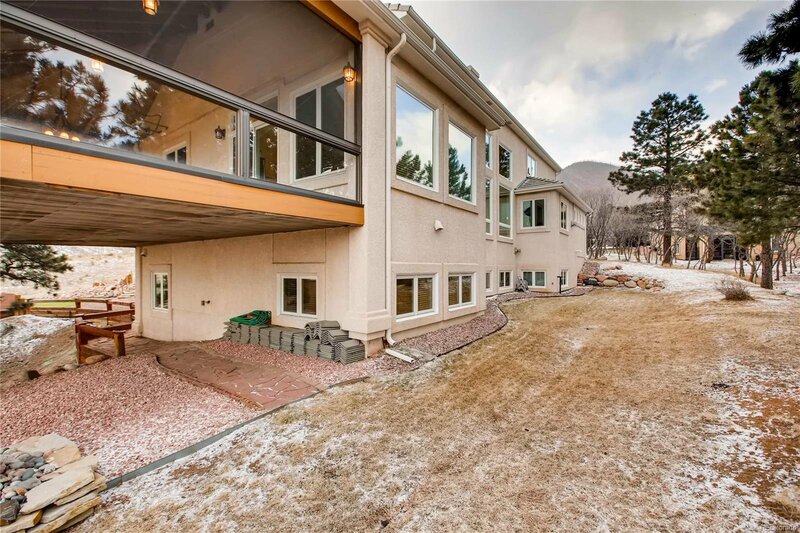 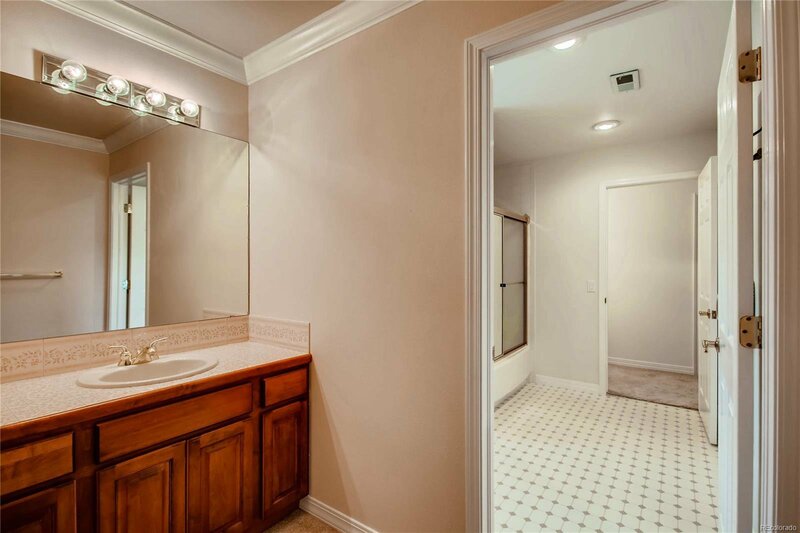 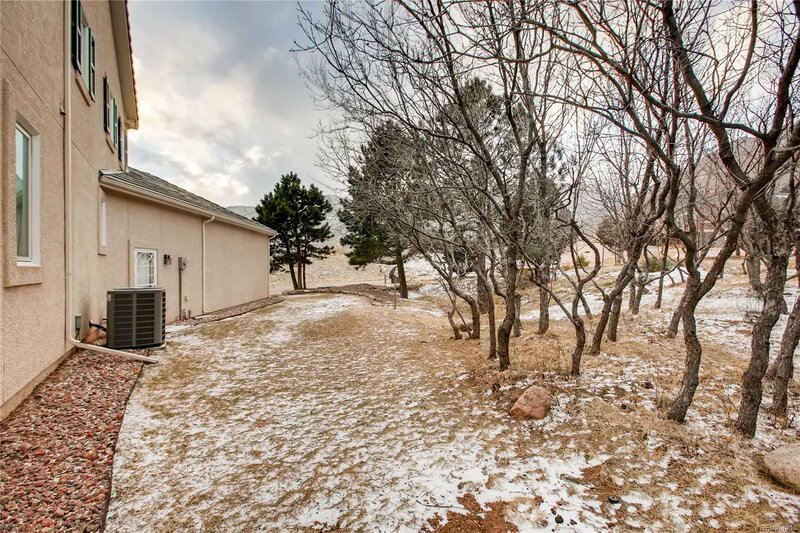 This beautiful Mountain Shadows custom home is in great condition and has had only one owner. 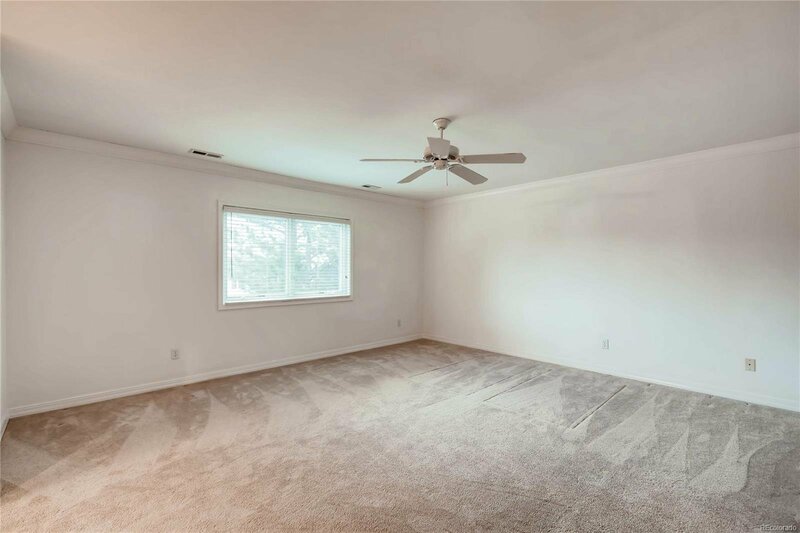 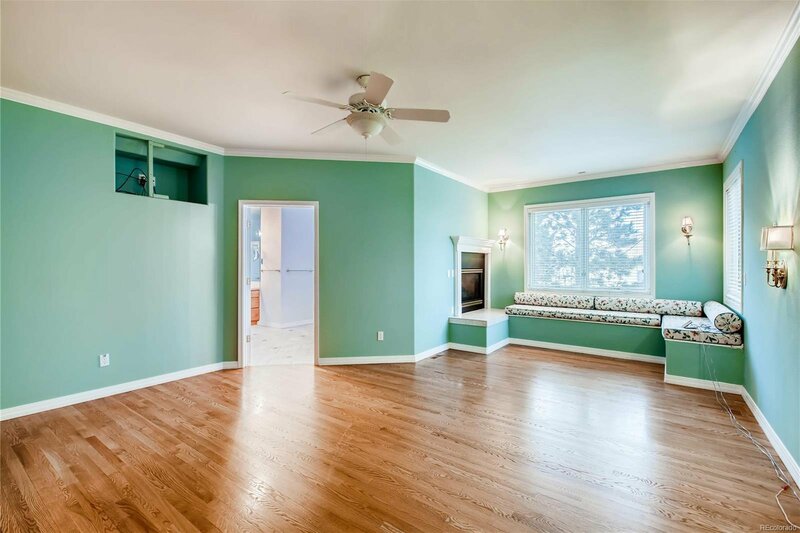 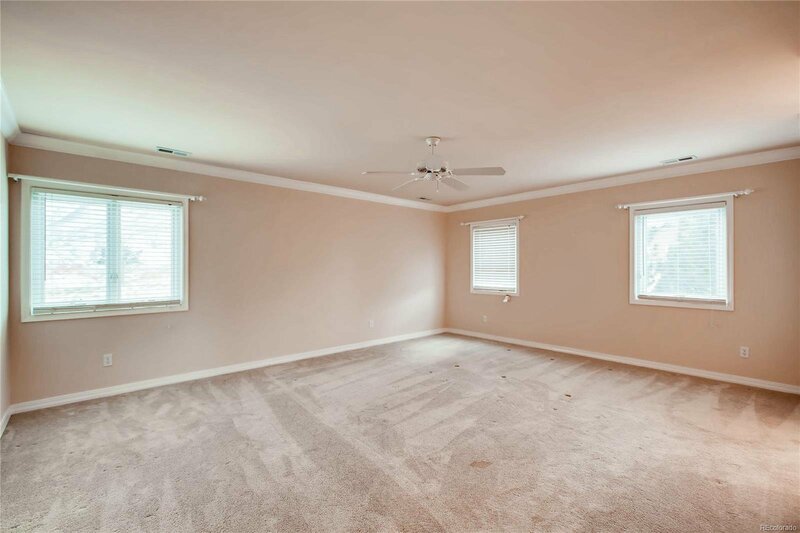 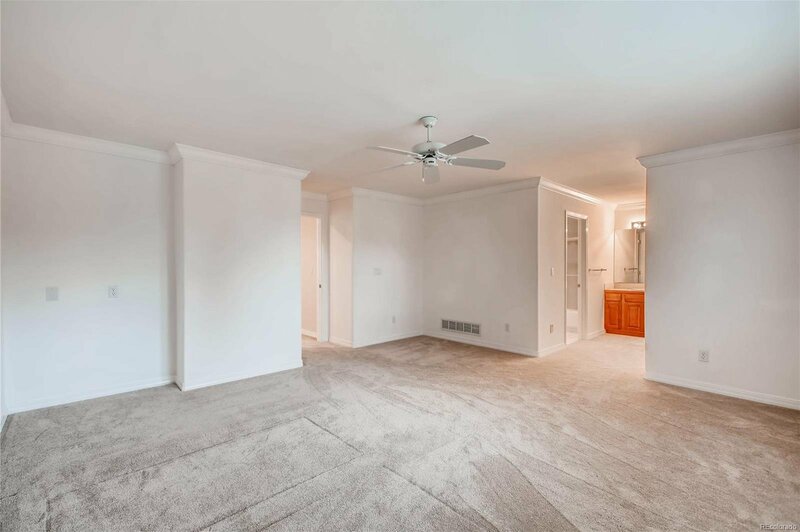 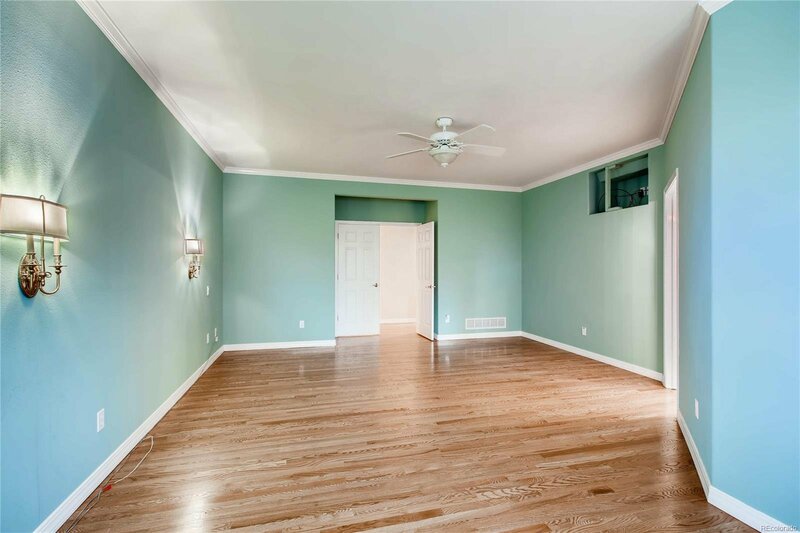 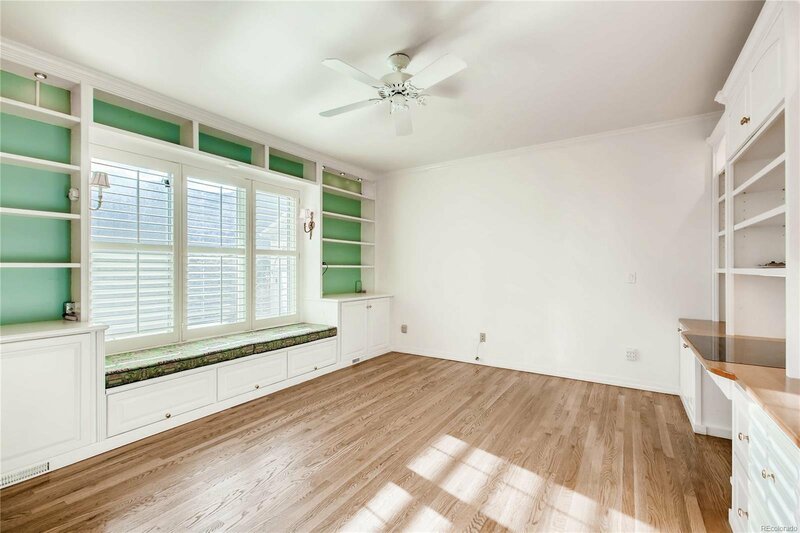 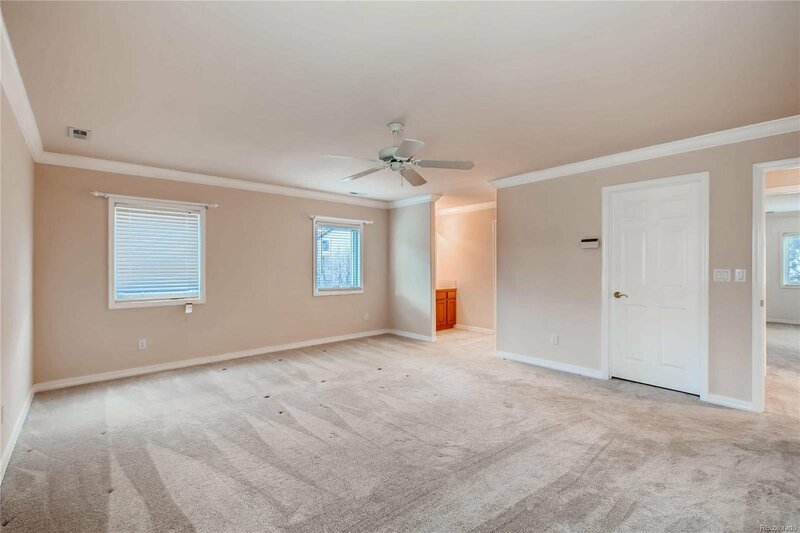 It is move-in ready with freshly refinished hardwood floors and new carpet and paint. 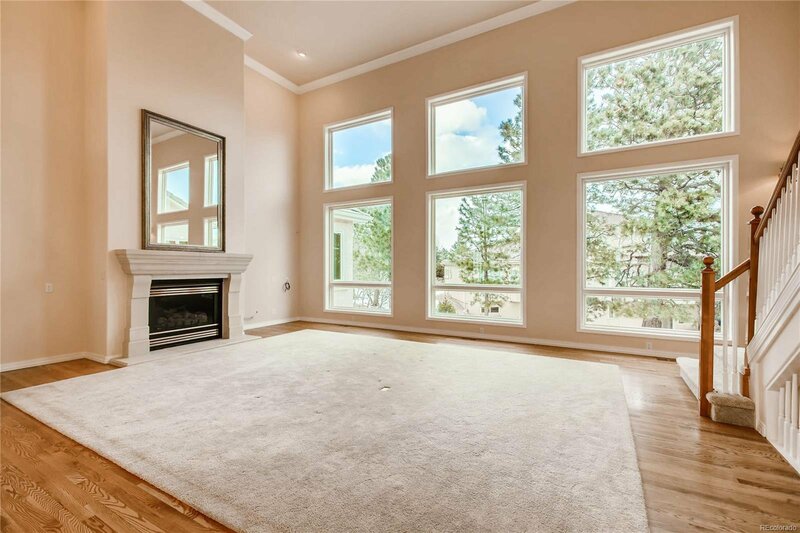 The Great room has a soaring 2 story wall of windows viewing the mature pine trees providing privacy and the front windows overlook Flying W and the hills of open space. 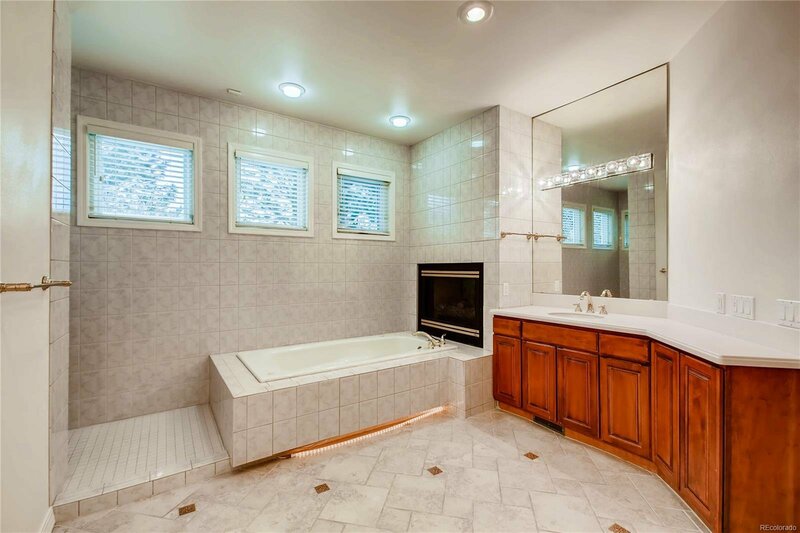 The main floor master suite includes a fireplace and sitting area in addition to the luxurious bath. 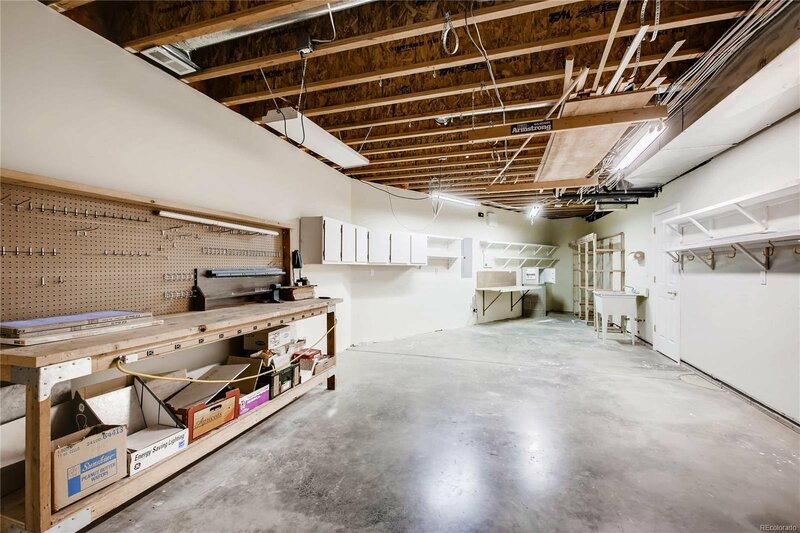 The main floor study has built-in shelves, cabinets, work desk and views. 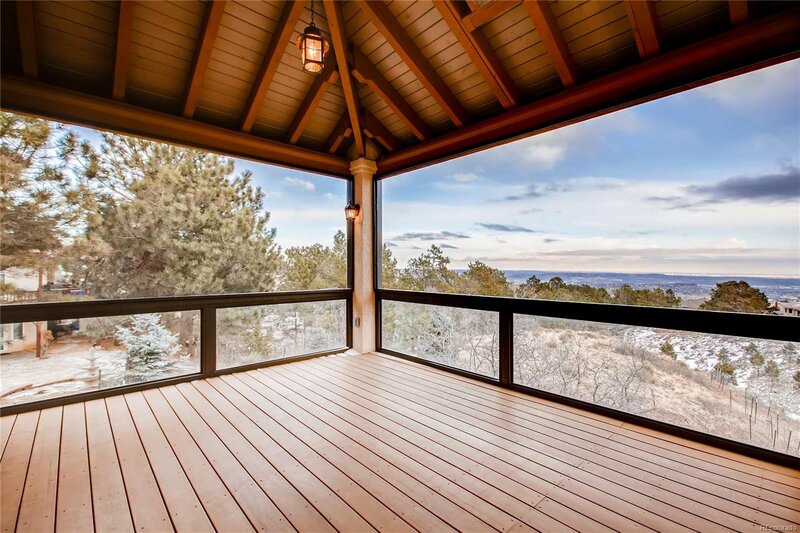 Spectacular views of the city lights await from the covered enclosed deck, which has an electric heat source to take off the chill. 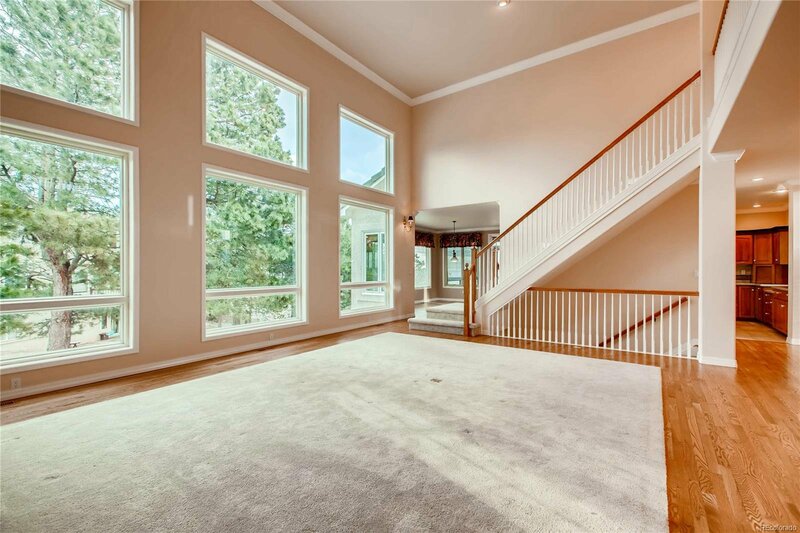 There is also a loft on the 2nd floor for a second study which could convert to a bedroom. 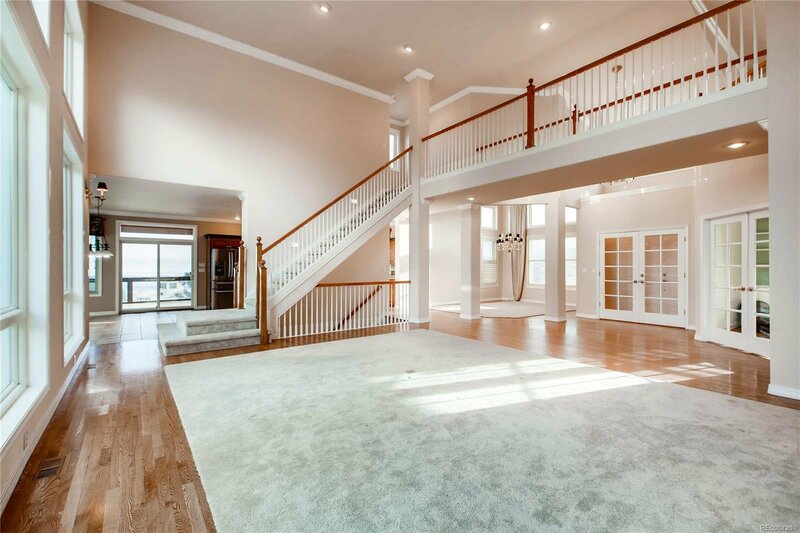 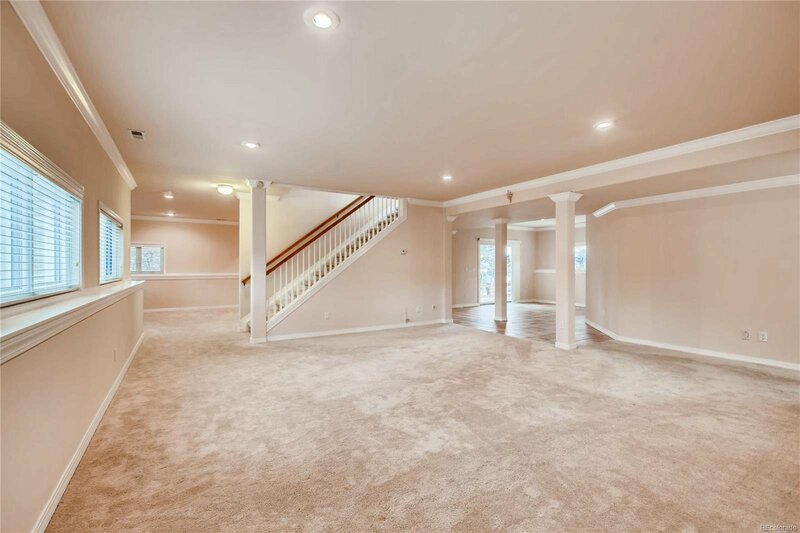 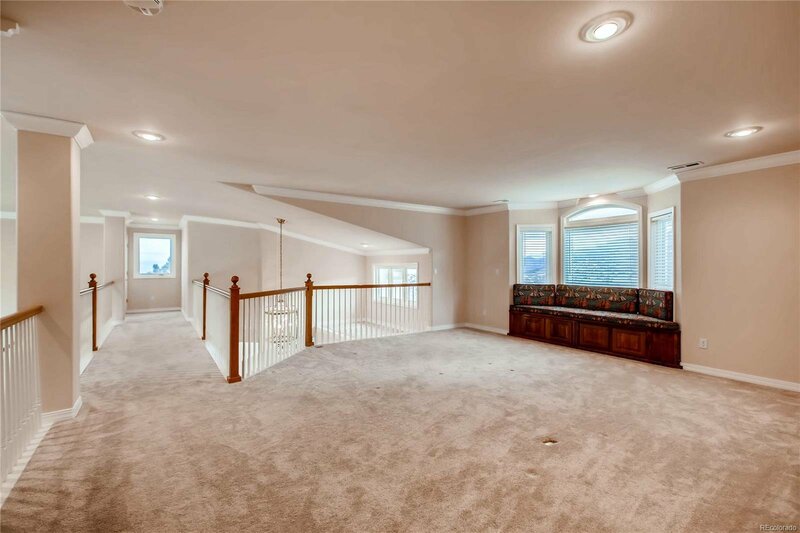 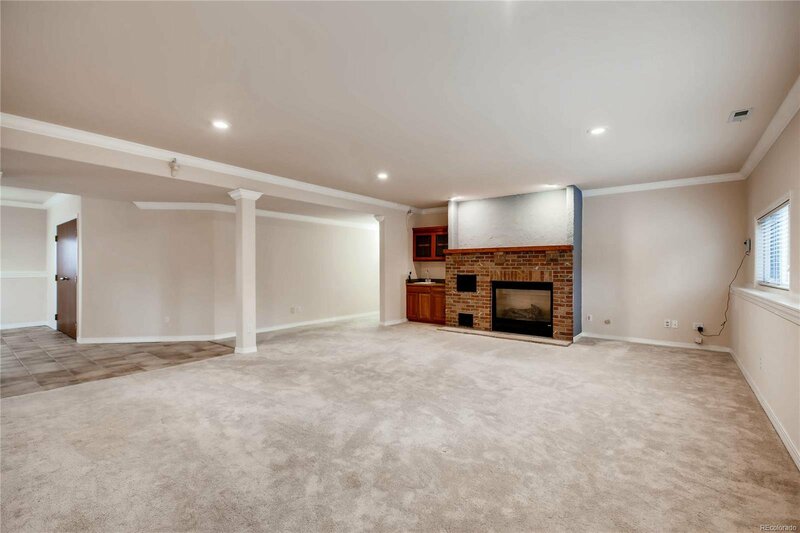 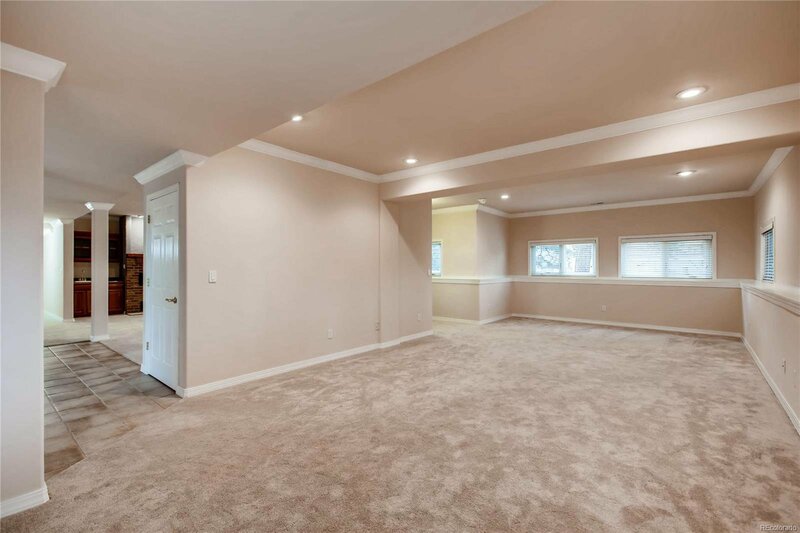 The mostly finished walkout basement has a family room with fireplace (also could be used for an in-law suite). 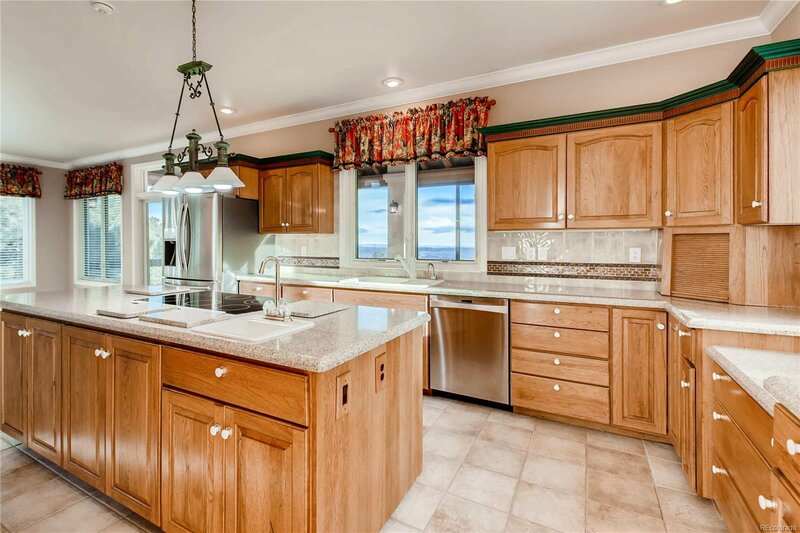 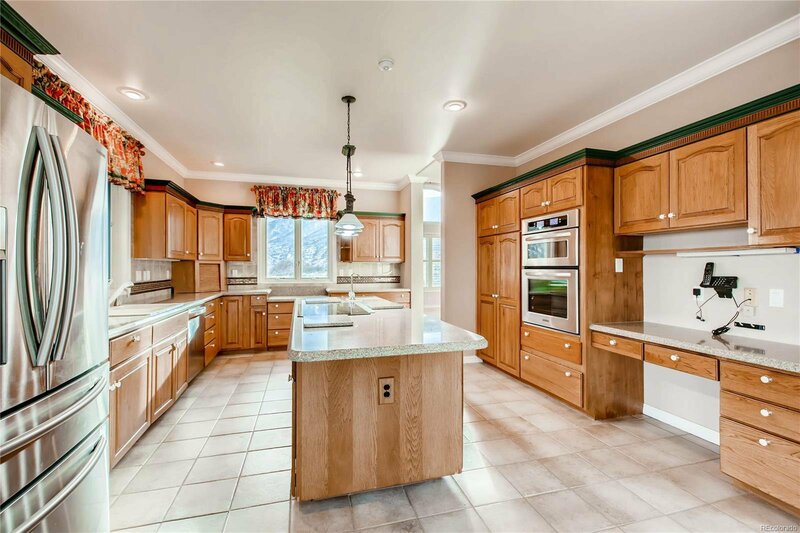 Kitchen is an entertainer's delight which opens onto deck. 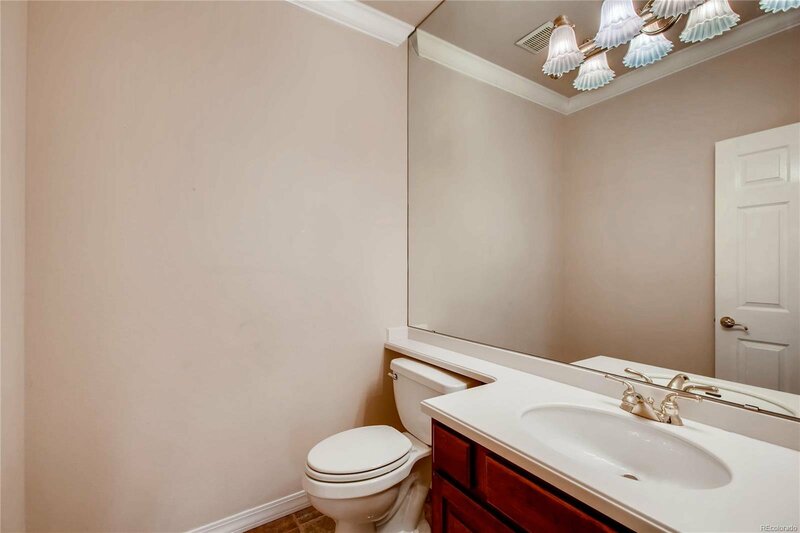 Main floor laundry w/utility sink. 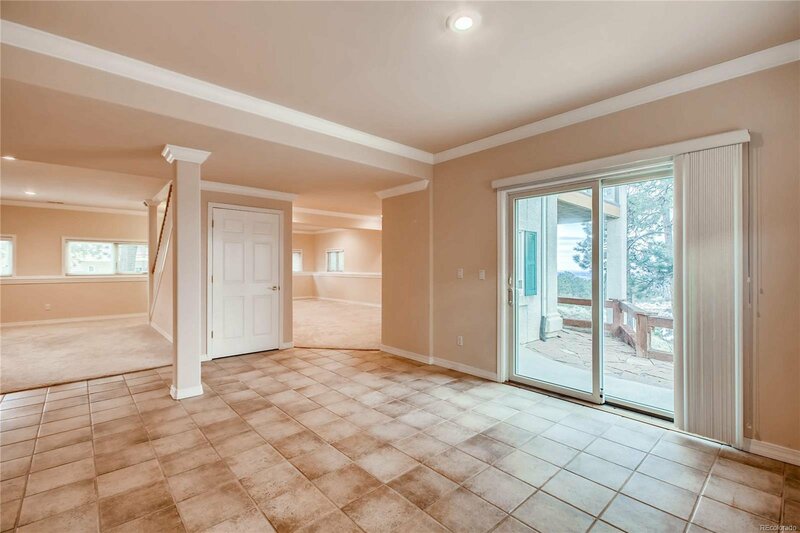 Wide doorways for wheelchair accessibility. 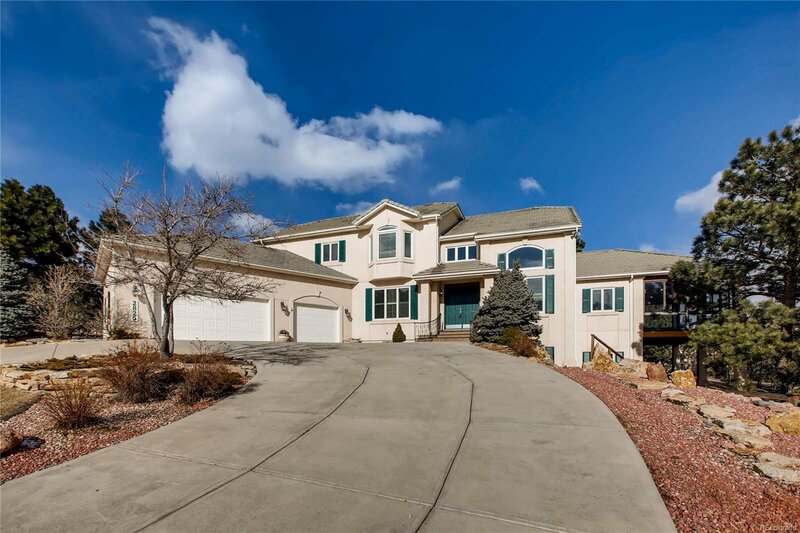 Listing courtesy of MB Jay Hannon Inc..